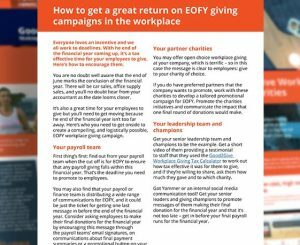 Good2Give’s handy how-to guides provide helpful tips for businesses, charities, donors and staff fundraisers. 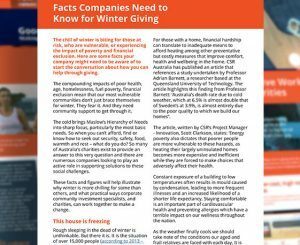 Communicate the importance of Winter Giving and the complexities facing the disadvantaged. Help your employees reap the benefits of giving and boost a final round of donations.